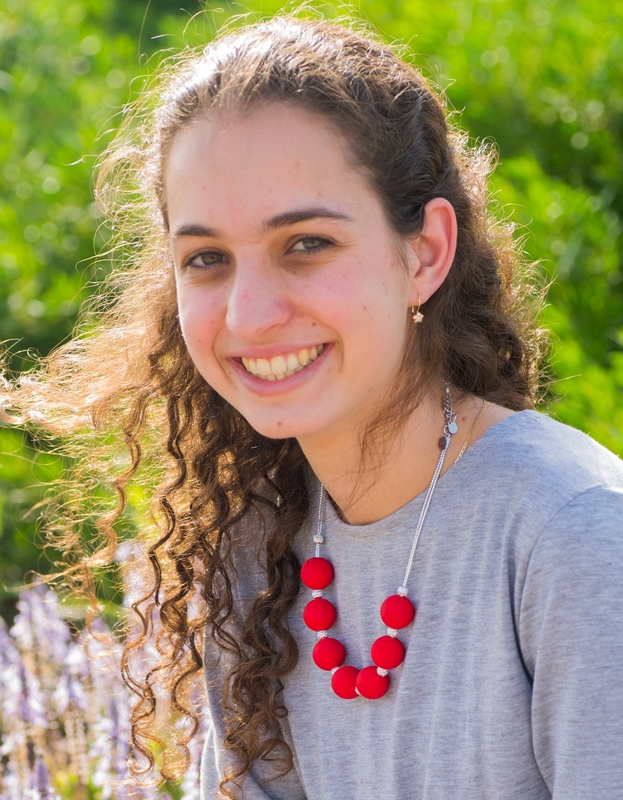 About myself: I was born in 1998, grew up most of my life in Moreshet, a small settlement in the Galilee, and graduated Ulpenat Baharan in Gedera. During my high school years, I participated in a program at the Weitzman Institute, which allowed me to do research in molecular biology. This experience inspired me to dream of becoming a research scientist. This ambition was reinforced during my national service at the space environment department in Soreq NRC. I was exposed to the fascinating world of research, where no day is like the previous day. I'm looking forward to the excellence program, in which I hope to be exposed to fields of science that I do not even know exist. Hobbies and other activities: I like to read (anything and anywhere), draw, sew and bake (ridiculously complicated cookies).